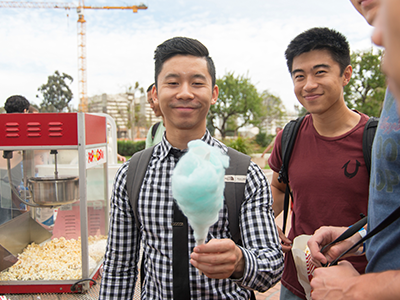 The Carnival is a strategically timed event at the David Geffen School of Medicine that brings all four years of medical students together with the faculty and staff during Match Week. This annual event allows the entire school to 'pause for a minute' for some well deserved fun and social time, brining tensions down from the fast paced end of year and anticipation of Match. Students with families are encouraged to bring them along for food, games, and socializing. The block-based curriculum for years one and two has been designed to increase integration of normal human biology with disease processes and clinical skills from the first week of medical school onward. Basic science is taught in the context of its application with planned reiteration. Instruction is coordinated throughout sequentially-taught blocks. 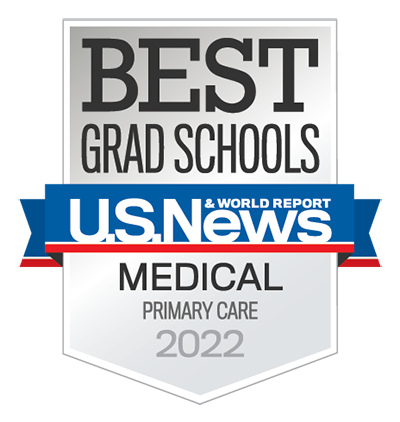 These clinical foundations are designed to give the medical student the necessary foundations to continue in their learning, but they are also a fun bonding experience for the student body. 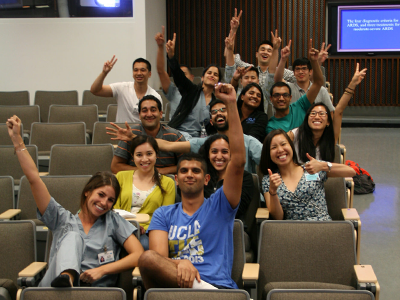 The David Geffen School of Medicine at UCLA supports your growth and development as a whole person, providing a variety of resources to help you maintain health and wellness, in addition to your academic success. 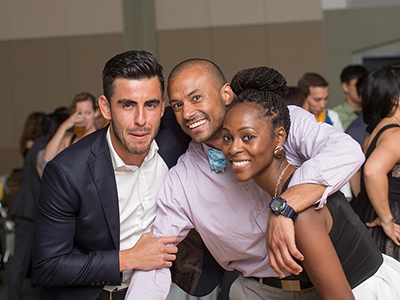 The programs and events targeted toward the medical student's stress level and ability to unwind are unlike any other. The Office of Career Development & Well-Being offers a wide variety of programs to support your health and wellness, and The Office of Student Affairs sponsors many annual events to both celebrate the milestones of a student and to let the student unwind after a particularly stressful time in the year. 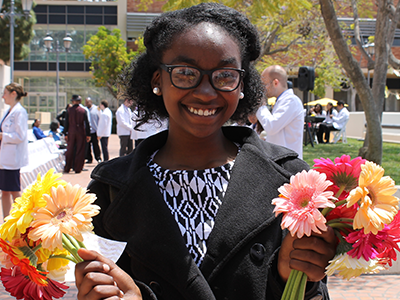 This annual ceremony is held each spring at the David Geffen School of Medicine at UCLA. Year 1 medical students organize and host this special ceremony to honor those who donated their body for their education. This event is supported by The Office of Student Affairs & UCLA's Donated Body Program. Students are able to reflect on the lives of the donors and meet family members of those who have ensured the continuation of medical learning.